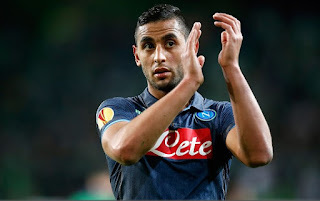 Transfer latest news 2015: Chelsea want Napoli’s Faouzi Ghoulam Chelsea are targeting Napoli defender Faouzi Ghoulam for the summer move, according to Le Buteur. Chelsea are targeting Napoli defender Faouzi Ghoulam for the summer move, according to Le Buteur. The reports revealed that the Premier League Champions are keen to seal his deal this summer. They are planning to make for a bid around £10million. However, the reports have not only mentioned Chelsea’s name, Manchester City are also in the race and have been keeping tabs on him in the past few weeks. Ghoulam was impressive for the Italians side in the Europa League campaign as he was named in the 2014-2015 UEFA Europa Squad of the Season. He played all the games in Europa but he got limited chance in Serie A. Intotal, he started 33 games for the Serie A side last term in all competitions. The Algerian left-back is eyeing for a move after the departure of Rafael Benetiz who left for Real Madrid few weeks ago. Man City are in need of a left-back as Gael Clichy was not impressive last season and Aleksandar Kolarov has been linked with a move away from Etihad Stadium. Meanwhile, Chelsea who already have César Azpilicueta and Filipe Luís for that role are still eyeing for a new left-back. The 24-year-old is also targeted by several other top clubs including few unnamed clubs from the Spanish league.